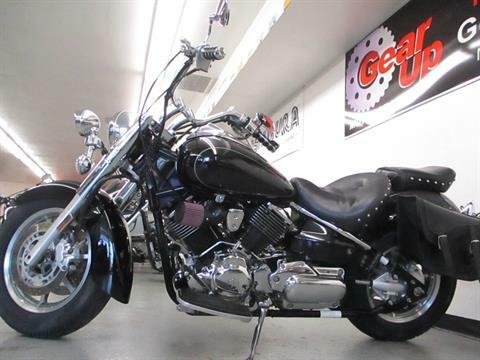 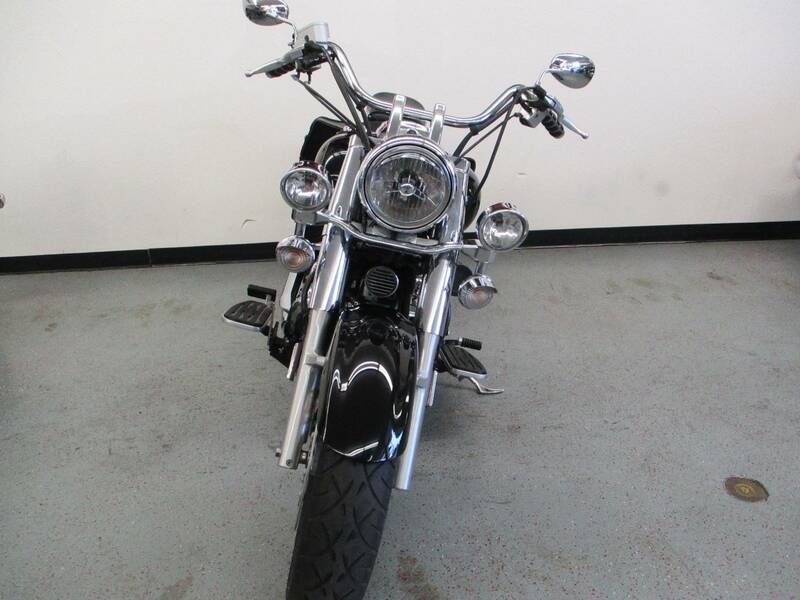 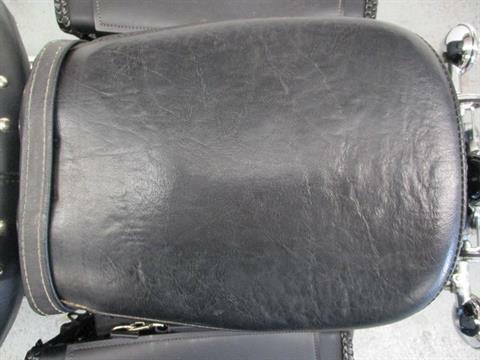 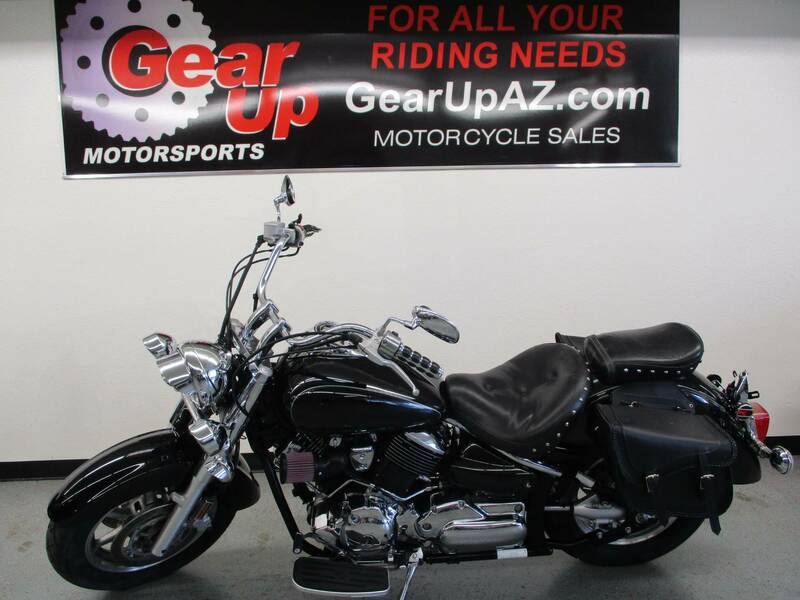 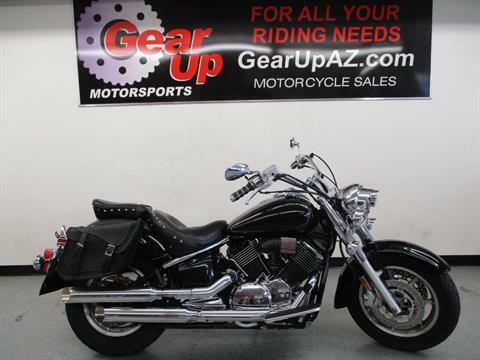 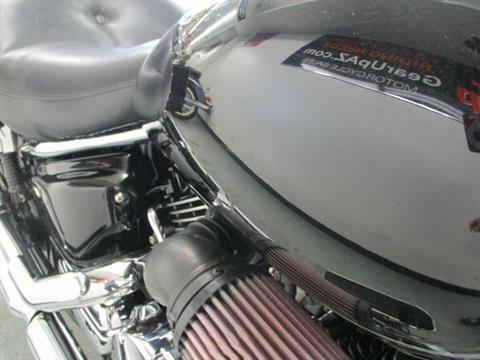 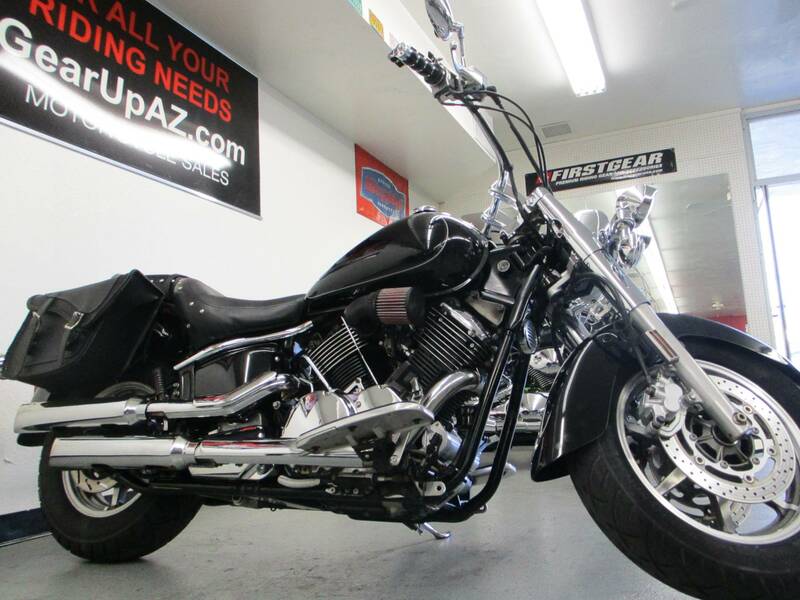 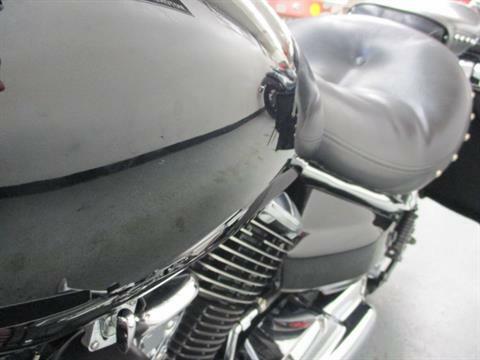 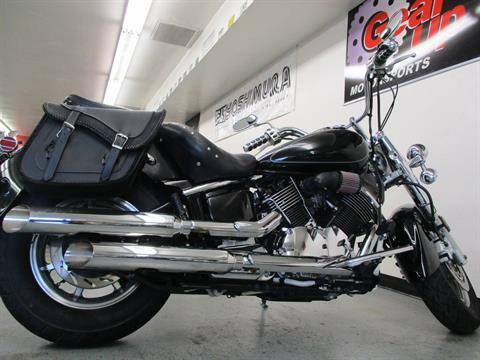 Great cruiser, plenty of power and comfort and at a great price - come see this 2008 Yamaha VStar 1100 Classic! Features: 1065cc air cooled v-twin engine, 5-speed transmission, carb, shaft drive, single disc front and rear brakes, 4.5 gallon fuel tank, more! 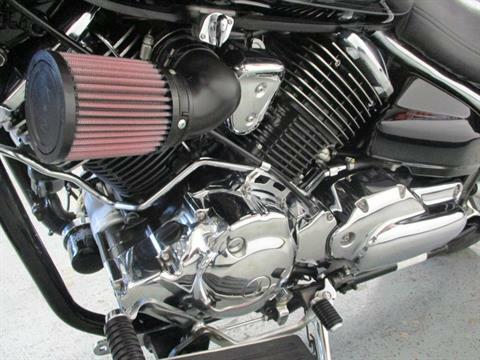 Accessories: Kuryakyn grips, throttle lock, K&N air filters, saddlebags, and more. 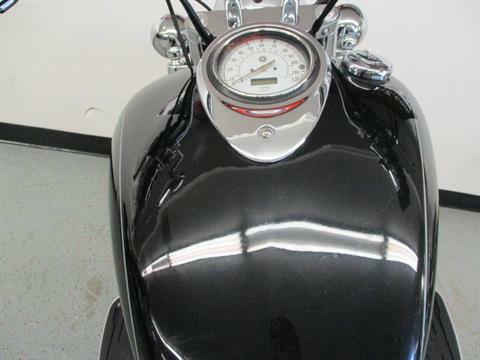 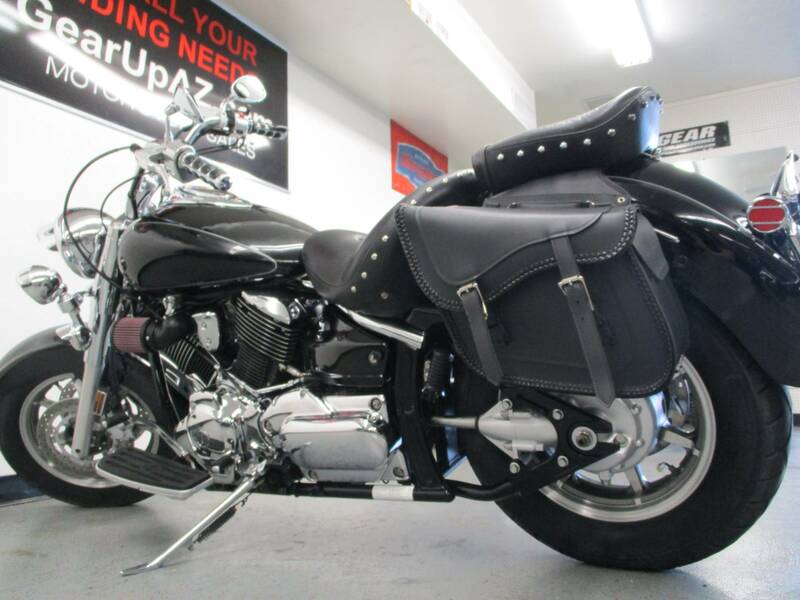 History: NV/AZ bike finished in a vivid black paint scheme and 53777 miles. 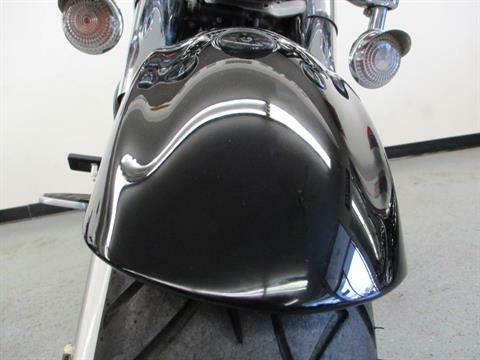 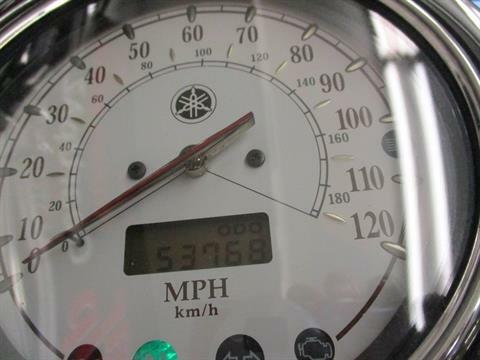 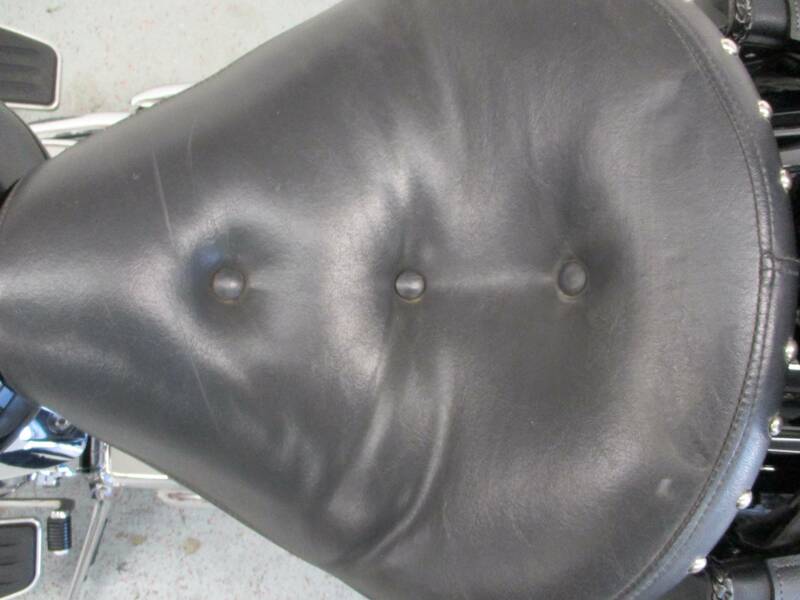 Service and Safety: This motorcycle comes serviced and with two brand new tires! 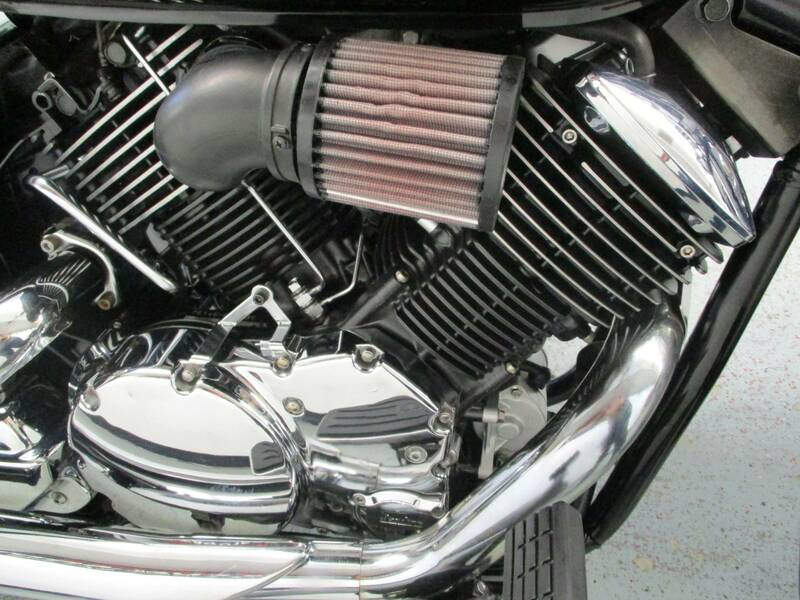 65-cubic-inch (1,063 cc) air-cooled, SOHC 75-degree V-twin is tuned for outstanding low- and mid-range torque - maximum torque is reached at only 2,500 rpm - for exceptional overall cruising performance. 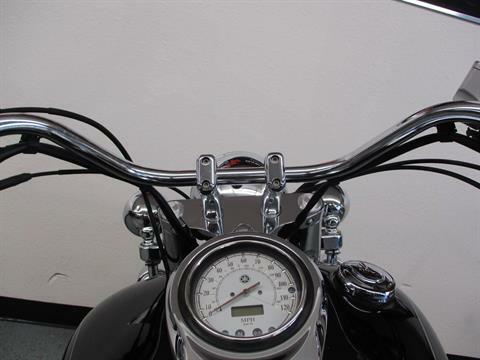 A medium-size adjustable windshield, large touring seat, passenger pillion pad and backrest provide great long-range, two-up comfort. 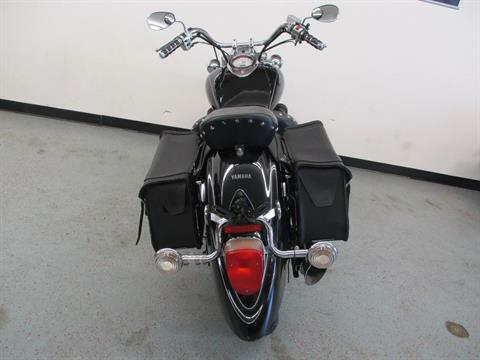 Roomy and beautiful soft-leather saddlebags provide storage for long-range adventures.